Canadian journalist, and friend, Adnan Khan, has been covering South Asia and Middle East for over a decade. When not traipsing around Turkey, his home turf, the Maclean’s correspondent can usually be found in Pakistan or Afghanistan working on his next feature story. In 2012, Khan took a much needed break from his reporting duties and embarked on an epic 8,000 km overland journey between Kabul and Istanbul. 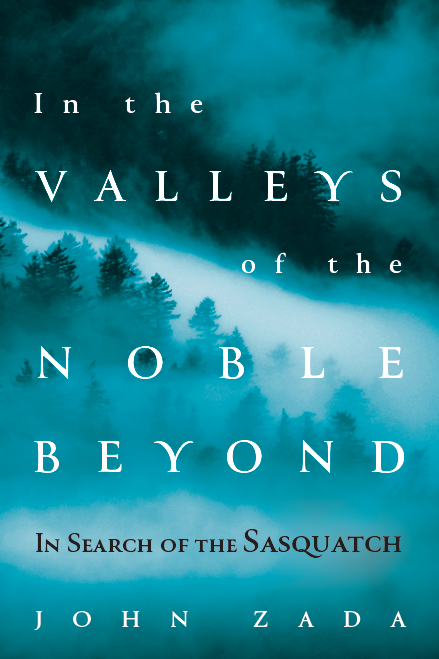 A trip like that is impressive enough given the distance and dicey nature of some of the areas he travelled through. But it was the underlying purpose of the journey, and the method of travel, that made the voyage even more exceptional. Khan and his two travel companions blazed through Afghanistan, Pakistan, Iran and Turkey in an auto rickshaw – that small, quirky three wheeled vehicle sometimes used for short jaunts in urban areas of the developing world. The trio bolstered that feat, by making several pit stops along the way to put on circus-style performances, and workshops, for underprivileged children. 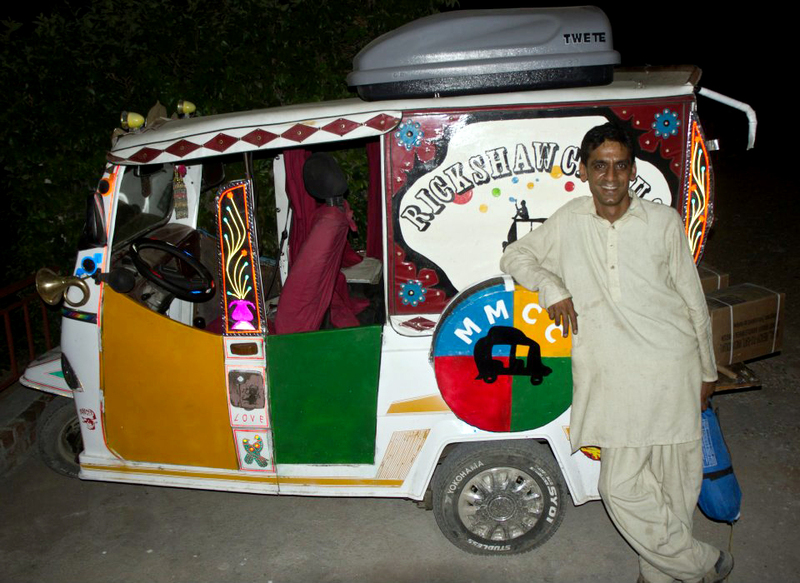 The group dubbed their travelling road show “The Rickshaw Circus”. I asked Khan how that journey came to be – and how it all unfolded. The humanitarian part of your trip was inspired by a growing movement called “Social Circus.” Can you explain what that is? Social circus is a form of art therapy that’s been around for about 20 years. Its purpose is to engage children in relatively safe, non-competitive circus activities that stimulate them both physically and mentally. The basic premise is that when you get children suffering from trauma or marginalization to take part in these activities, it creates an atmosphere where they can learn how to communicate, cooperate and challenge themselves. Kids who’ve experienced trauma tend to go into a shell and are less willing to engage with the world. They stop taking risks. Meanwhile, risk-taking is an important aspect of childhood. For instance, it’s crucial in order to learn boundaries. Circus activities, by their very nature have a risk-taking element to them. And when kids get involved in these activities they can push themselves further and further each time. It creates a sense of cooperation, discipline, community and self-esteem. It sounds like they’re also stretching themselves and deriving a sense of purpose and meaning. How did you get involved in all of this? It began when I was on assignment in Pakistan and met my partner, Annika, who was studying there. She happened to be heavily involved in the circus, through her community in Berlin. She introduced me to various forms of juggling that I didn’t even know existed, and I became obsessed with learning those skills. I didn’t discover what social circus was until later. 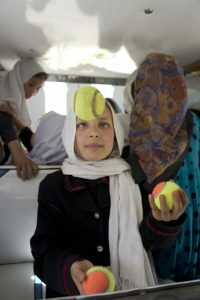 I’d heard about the Afghan Mini Mobile Circus for Children and had always been curious about it – partly because the idea of a circus in Afghanistan seemed so strange. When Annika and I moved to Kabul for a period, we both decided to volunteer there. And that’s how I became connected to it. Where did the idea come from to take a circus show on the road? And with, of all things, a rickshaw? The circus was going through financial troubles while we were volunteering there. Some of their funding had been cut and they were struggling to stay afloat. We were trying to help them find ways to raise money, and increase their profile. At the same time, we were thinking about an interesting way, when we finished our work in Afghanistan, of travelling back home to Turkey. We had in mind some sort of overland route. It was a really rough winter in Kabul at the time. There was a lot of snowfall. It was freezing cold. Our apartment was impossible to heat. And we had no running water because all of our pipes had frozen. We desperately needed a break from the capital, so we decided to take a holiday in Jalalabad, which was a lot warmer. Jalalabad is very close to Pakistan, which is famous for its rickshaws. By consequence, Jalalabad is also a city of rickshaws. And what we found in Jalalabad was a kind of rickshaw that we’d never seen before. It was larger than the usual motor rickshaws you see in places like India or Thailand. These vehicles actually had a steering wheel. And they were often just wildly decorated. They sound a bit like those big, painted lorries you see in that part of the world. Yeah, and like those lorries, the rickshaws look like toys. It’s almost as if they were made for the circus. And from there we talked endlessly about it, until we decided to do it. The plan was to drive a rickshaw from Kabul all the way to Istanbul via Pakistan and Iran. The easiest way to do that would have been for us to bypass Pakistan and enter Iran directly through western Afghanistan. But our plan was also to do circus performances for kids along the way. We figured the place that needed social circus the most was Pakistan. And so we decided to include Pakistan in our itinerary. It was only Annika and myself at first. But we soon realized we needed a third person. 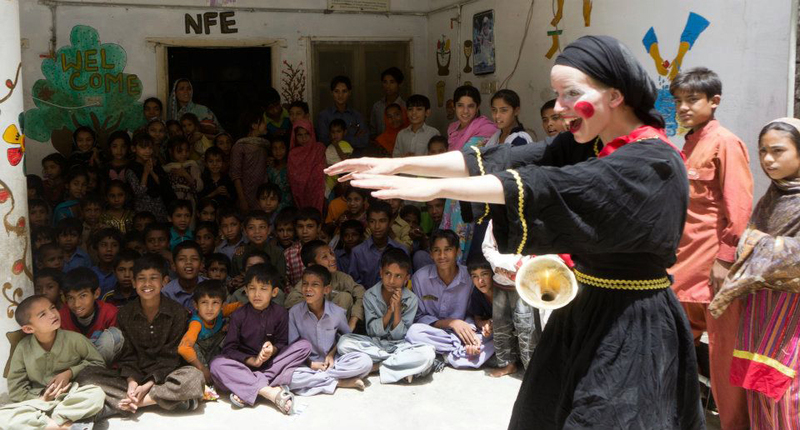 Peter Gatehouse, who is a friend and circus performer in the UK, volunteered and joined the trip in Islamabad. What sorts of preparations were required? Logistics was a huge issue. 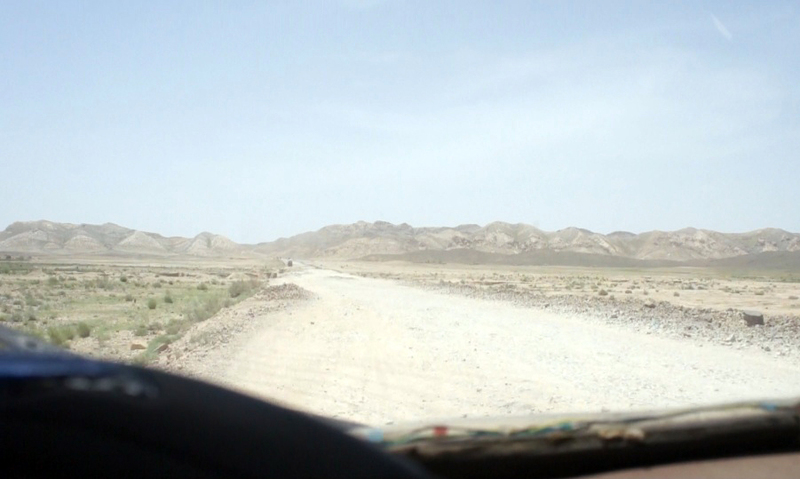 For instance, we had to figure out how safe it was to cross the Afghan-Pakistan border. And then once we got to Pakistan, we need to know how we were going to get to Iran? We were comfortable driving through most of Pakistan. But of course, the Balochistan region, an area of lawlessness, posed a big problem for us. We knew a lot of security consultants in Pakistan, and we talked to some of them. One in particular, a former military guy, didn’t think we should do the trip. He said that unless we took triple the precautions, we’d probably get killed. So we spent most of our time planning the Pakistan route as safely as possible. 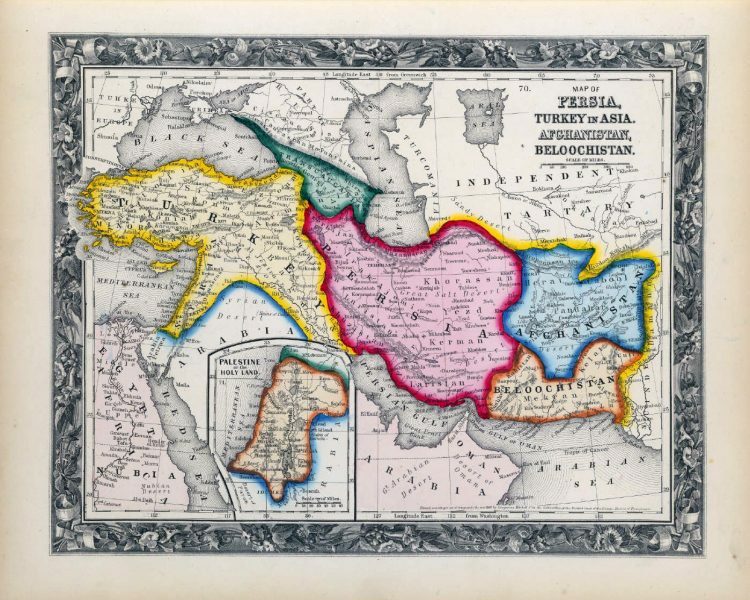 We knew that once we got to Iran and Turkey, we would be mostly home free. The Kabul to Islamabad leg of the trip was going to be a solo affair. Foreigners are not allowed in the tribal areas. Because I’m Pakistani and have Pakistani roots, I was able to travel through there. Annika and Peter could not. The other section that was no-go for Peter and Annika was the route from Multan, in southern Punjab, to Quetta. That’s a dangerous journey and foreigners are usually given guards when travelling there. I drove the rickshaw by myself on that leg. And the two of them took a bus. How did you acquire the rickshaw? It began with a conventional fundraising campaign. We put together a promo video. We gave talks at cafes and restaurants in Kabul, and later started an Indiegogo crowd-funding campaign. Once we hit the $3,000 mark, the cost of a rickshaw, we started looking for a vehicle. The catch was that we weren’t able to buy a new rickshaw. They’re often custom made and take too long to deliver. And we didn’t have time to wait. So we had to settle for a used one. But it had to be in good enough shape to make a journey of several thousand kilometres. I found a guy who organized an impromptu rickshaw market for us at a gas station. Some twenty guys with rickshaws showed up. They all wanted me to buy their vehicles. But all the rickshaws were crap. I was disappointed and thought we weren’t going to be able to find one. So he went across the street to talk to the driver. The owner brought it over and I bought it from him on the spot. The man then drove it to Kabul for us. Your first big test was crossing the Afghan-Pakistan border. You thought your journey was going to end there. When I got to the frontier in Torkham, on the Afghan side, the border police wouldn’t let me near the border crossing. They couldn’t conceive of the idea of my taking the rickshaw to Pakistan. So they just ushered me over to the area where the taxis sat, thinking I was intent on crossing by taxi. I told them, “No, no! I’m taking this rickshaw to Pakistan.” But they just didn’t get it. So I went to the customs office to negotiate with them. And, of course, they’re extremely corrupt. The head of the department was this guy having tea and smoking cigarettes with all of his tribal buddies. He brushed me off the first few times. But I was insistent and I managed to work my way to a commander with the border police and explain to him what was happening. This all took about four hours. The Carnet de Passages was completely alien to them. They’d never seen it before. You have to imagine: this is the same border crossing used by ISAF, the NATO security force, as a supply route. So you have these giant trucks going back-and-forth, and then you have this tiny little rickshaw sitting there as they’re going by. For an hour I was parked there, half in Pakistan and half in Afghanistan, as these big trucks just whizzed past me by inches. Luckily I was given a contact name on the Pakistani side. So I gave him a call. He was able to rush over from the customs office and argue on my behalf with the Pakistani border police. I finally managed to get to Pakistani customs. While there, one of the men looked at the Carnet de Passages and said, “I remember seeing one of these once!” He’d come across a carnet around 30 years before. 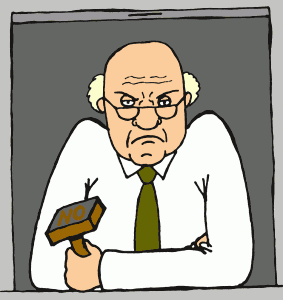 But he’d forgotten what the bureaucratic procedure was to process the document. This man spent an hour going through a huge customs manual trying to figure out what to do with the carnet. He finally figured out that we have to register the paper in a special Carnet de Passages logbook. And then the search began to find this logbook. 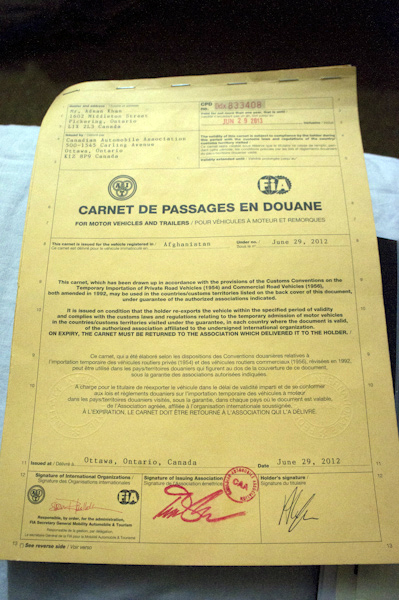 We went into a back room where ALL the logbooks in customs history are kept. And this room was just unbelievable. It was something out of a Harry Potter movie. There’s just piles and piles of these log books everywhere. Every wall is covered from floor to ceiling with them. And right in the middle of it all was this huge guy, maybe 300 pounds, sprawled over this chair, in front of a tiny computer with one of the logbooks open beside him. He was digitizing ALL the logbooks! But the guy couldn’t type. He’d just look at the book and hit one key, and then look back at the book and hit another key. You could literally see this guy sitting there for a million years working his way through all of these logbooks. We approached him, with his glasses hanging off his nose, and asked him for the Carnet de Passages logbook. He pointed to a corner and we spent the longest time digging through books covered in dust. They were disintegrating as we opened them. When it dawned on us that we were never going to find that logbook, my customs friend had an ingenious flash. He suggested that we just start a new Carnet de Passages logbook. So he pulled out a new book and registered me in it. He wrote down my name and license plate and the word “rickshaw” beside it. It was the first entry in that new book. I should have taken a photo of that page. After that, i finally crossed the border in Pakistan. In Islamabad you met up with the others and started your journey. What was the reaction from people seeing this ornate, decorated rickshaw driving through their streets and towns? During the journey I made it a game to keep track of people’s reactions – their double takes. You have to imagine the tribal areas. They’re dotted with small towns – fortress-like mud compounds – with walls that are often 5 or 6 metres high. As I drove past, children would come running out of them, with huge smiles on their faces. These kids would often chase after us. Even the old men, who you often see portrayed in the media as these unhappy, ultra-conservative, Taliban-esque types were breaking into smiles. In Pakistan, we got a lot of that. They’re used to rickshaws there. But our vehicle was still out of the ordinary for them. We got a lot of attention from everyone. What was really interesting was how the response varied in all of the different countries. In Pakistan, they were excited about this rickshaw from Jalalabad that they’d never seen before. They wanted to know more about it, and where we got it. In Iran, the response was much more warm – and less excited. People would stop us on the road and just give us stuff. They didn’t even ask what we were doing at first. They’d give us fruits, nuts, candies and invite us into their homes. We’d eventually tell them we were on a humanitarian mission and immediately their warmth and hospitality would double. And then we got to Turkey. For much of the journey prior to Turkey, the looks from people ranged from awe, to confusion, to pure joy. 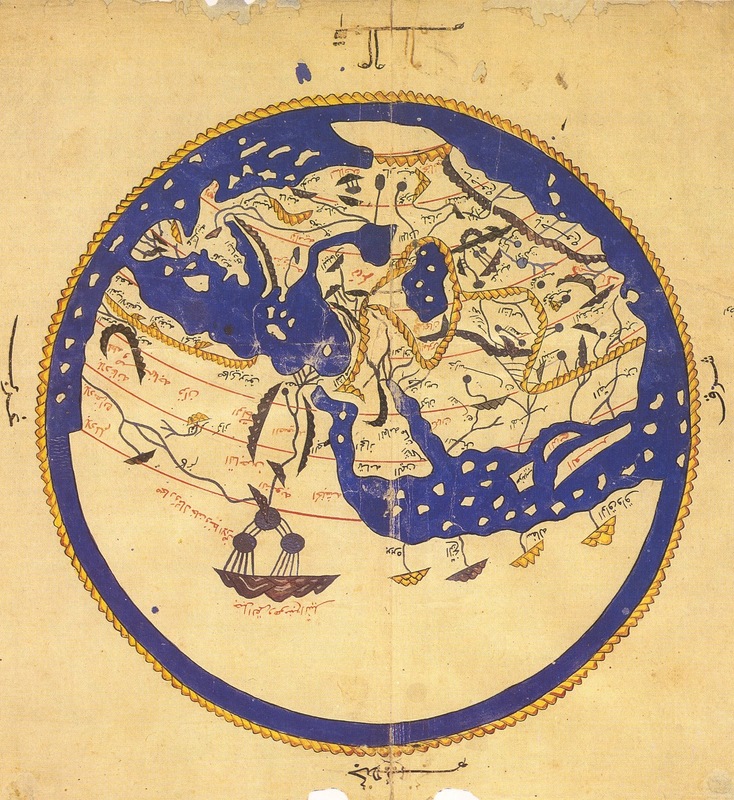 The Turks, on the other hand, would see you, but they forced themselves not to give a second look, or react in any way. It was a reserved reaction. A desire not to show their emotions. The Turks can sometimes be preoccupied with saving face. In our case that meant not showing us that they were phased by the spectacle of the rickshaw. They were too cool to get excited. All those various reactions were somehow indicative of the cultures we passed through. It was very telling. But overall, the reaction was happiness and laughter. Because of that, we started calling the rickshaw ‘The Smile Machine’. Smiles would just erupt within a certain diameter of the vehicle. What were the performances like? Describe those moments? The shows were all different, partly because we dealt with a broad range of children – and cultures. When we got to Islamabad, we performed for a bunch of kids from what I would describe as relatively wealthy families. It was a warm-up show and a way for us to test out our performance techniques. We were quite stiff. But we had chance to nail our fire performance. Later in Pakistan, we worked with marginalized Hindu children in Quetta. And that was a unique experience. The neighbourhood was very poor. And we performed in an old, run-down courtyard, which was in a shantytown. The area was just a sea of people crammed on the rooftops, sitting on the walls. The response was amazing. When the show was over, we were swarmed by kids who surrounded and wanted to touch us. We later put on some workshops and taught the kids some tricks. They were really eager to learn. In Iran, we worked at a hospital for kids suffering from cancer. That was probably the most moving experience for us. We were nervous beforehand because we’d never worked with kids that were that sick. Our performances and workshops were very high-energy, and we didn’t want to overwhelm or push these kids too hard. We started off a slow. But then things began to snowball. 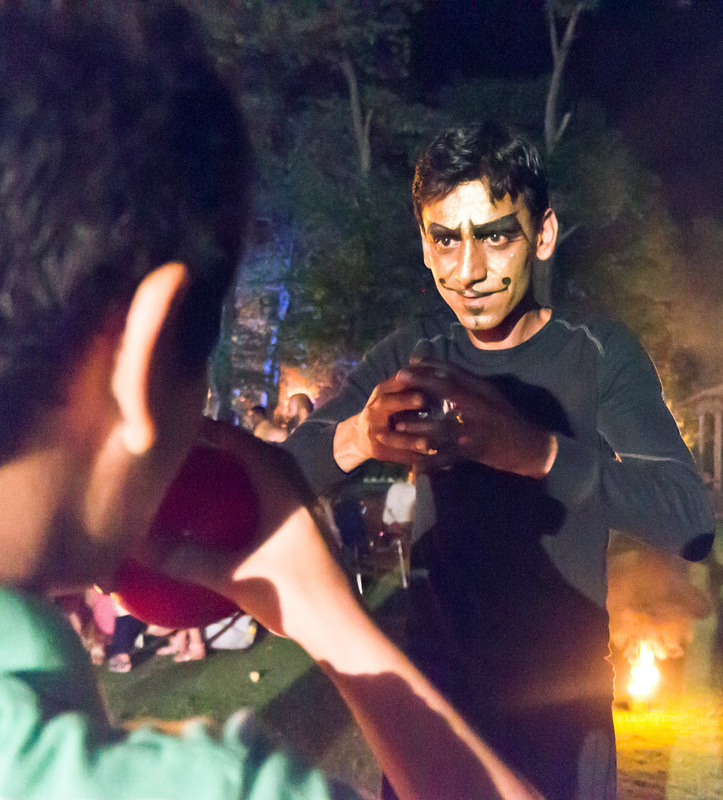 One part of our show involved juggling clubs of various sizes: small, medium and large. I would juggle the clubs, working my way through them in size. In order to demonstrate cooperation, when i got to the supposedly heaviest clubs, I’d exaggerate their weight and Annika would come over and help me lift them. At that point we brought the children in to help us lift those same clubs. That part of the show was a huge hit with them. You have to remember that these kids are going through chemotherapy. Their bodies are wasting away and they have very little physical energy. I’d pretend to have trouble lifting the clubs. And then I’d call up a kid and he, or she, would easily lift one of them into the air. The child would then give the club back to me and I’d again pretend it was incredibly heavy. They loved it. It gave them a sense of power. And their energy levels just went through the roof. The director of the hospital came to us afterwards and said, “I’ve never seen our kids with so much energy before.” It was one of the best, most successful shows on the whole trip. What did you take away from the journey in terms of learning? I was already a believer in social circus as a form of therapy before the trip, but the journey just confirmed it. I was also a bit nervous because I’d never performed in public before. I learned to be comfortable getting up in front of people and clowning around. I didn’t think I could do it very well, but apparently I’m a pretty good clown! Acting foolishly in front of people was a kind of therapy for me. It’s great to spend time not caring how you look or behave – not trying to be, or act, “cool”. The idea of just being silly and letting yourself go in a way that benefits others is just an amazing thing to experience in practice. We were also reminded about the real nature of these places which, because of media filtering, are considered to be all dangerous. As you yourself know from spending time in these areas, they’re not all as dark and conservative as portrayed in the media. There are many human beings in these places that, when given a chance, like to have fun. Were you surprised that you pulled the trip off? We felt confidant that we were going to do it. Other people weren’t. Having said that, I have to admit, there were some frightening moments. There were times when I asked myself: Why are you doing this? The bigger issue for me was deciding if the trip was worth it. Of course, it was, in the end – in spite of the risks. If you believe enough in what you’re doing, you can make it through those moments when you’re questioning the whole thing. We also realized, that as a small group of people without much money or resources, you can still make a pretty big impact on people’s lives. And that was really important for us to see. It wasn’t just some abstract concept. Getting our hands dirty and seeing the results reaffirmed that you can actually do something in this world. Do you have plans to do this again? Another social circus organization got in touch with us recently. They want to partner up and do something at the Syrian refugee camps in Turkey. 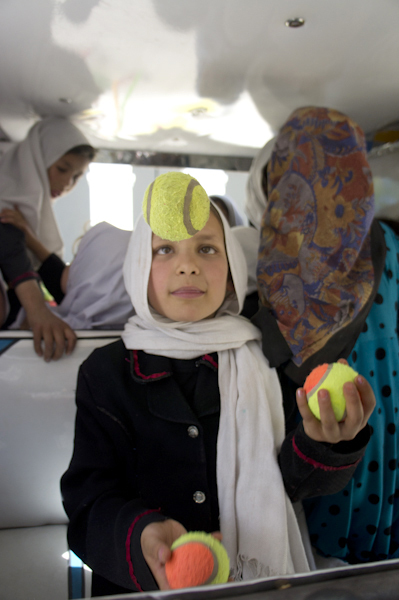 Right now we’re in discussions with the Afghan Mini Mobile Circus for Children in Kabul. They’re probably the most advanced social circus that works in a war zone. They’ve been doing this for over ten years and have some really good concepts on sustainability. We’re trying to orchestrate some kind of collaboration between those two organizations to do something relatively long-term with Syrian refugees. We’re hoping the Rickshaw Circus could play a frontline role to test out different camps and build networks and partnerships with organizations. 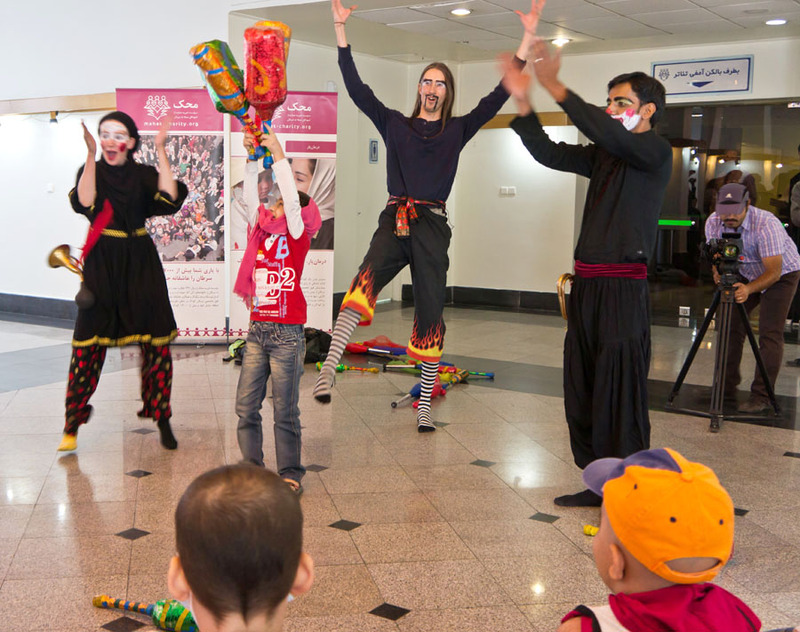 From there we could bring in the children’s circus in Kabul to help build and establish some lengthy programs for the refugees. We’ll see what happens. 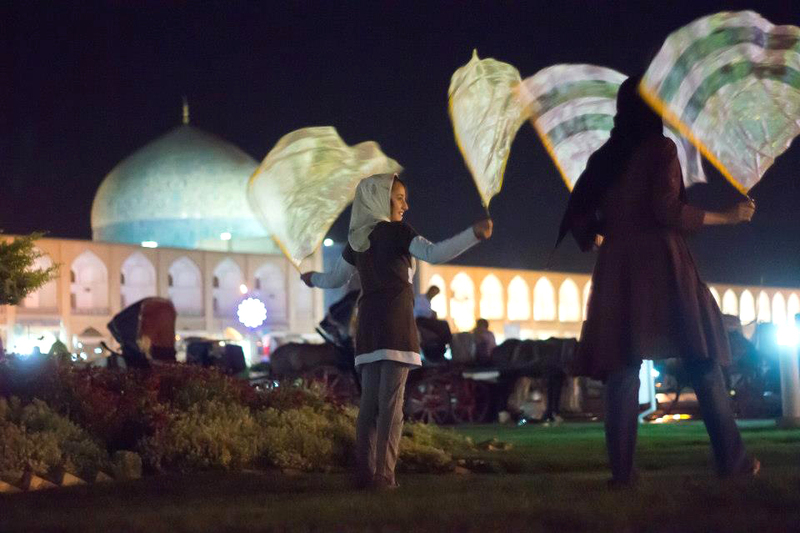 To see a video of some of the Rickshaw Circus’s performances on the road, click here.